Your guide for this trip will be Raquel Cayuela, who is a local authority on all that is elegant and underground (her focus on design of the highest aesthetic has earned her upwards of 18,000 followers on Instagram). Let us show you the best things to do in Amsterdam : •	Find the best Amsterdam restaurants to plan a memorable lunch or dinner : Taste Michelin star dishes in a beautiful greenhouse, or in a renovated hangar with amazing interior design. Be one of the first to experience a restaurant where every dish is made with avocado, or enjoy the best seafood and steak with amazing views of the city. 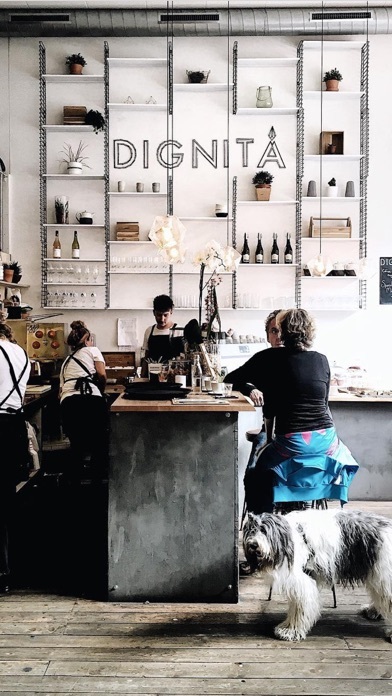 •	Start your day with the best coffee – Save time finding the best Amsterdam coffee shops near you, or make memories at cafés where you will be able to sit on a swing, flip through rare records or taste the perfect French éclair. 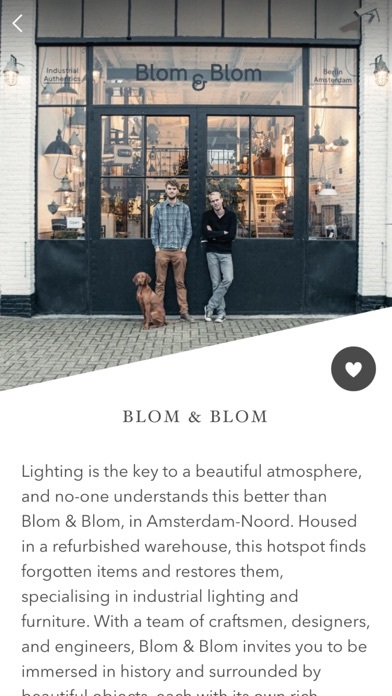 •	Indulge yourself in the best of Amsterdam shopping – Make someone happy with that perfect gift from a minimalist design shop to remember your holidays to Amsterdam. •	Experience exclusive activities – Enjoy the Amsterdam weather while walking through one of the world’s oldest botanical gardens or admire influential art at a uniquely designed Amsterdam museum. •	End the day with the best Amsterdam nightlife – Lose yourself in exclusive Amsterdam clubs and taste craft beer and cocktails at secret Amsterdam bars. •	Wake up in the most special hotels in Amsterdam - We’ve handpicked the Amsterdam hotels and apartments with the most beautiful design for any budget so you can make them your home. •	Never miss a great event again - During your Amsterdam holidays be part of the best up-and-coming concerts, markets, dance parties, and events with our What’s On calendar. With a beautiful, simple and minimalist design (winner of the Silver LAUS17 Award) our Amsterdam City Guide makes planning what to do in Amsterdam more pleasant than ever. 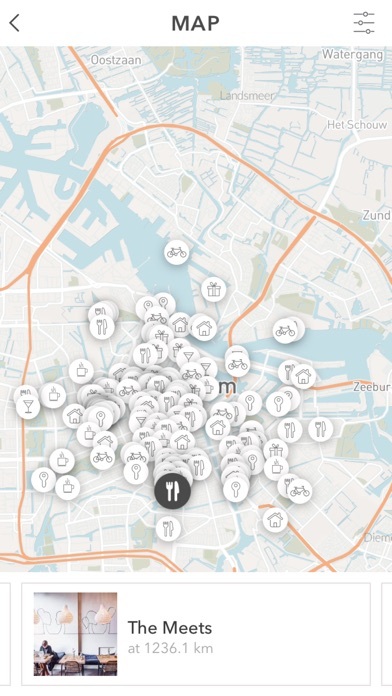 The Amsterdam City Guide & Map by Coolmapp is only on the App Store. I wanted an map app that was through the eyes of locals and this one stood out. The very first thing you see is a favorite to visit which is a big help versus having to find that through combing reviews. It also gives the average prices, which helps for planning and is generally just a beautiful, easy to use app! Worth the investment. I highly recommend this app, it is very user-friendly and has great extras like local emergency numbers. One highlight that many travelers will appreciate with this app is how fast and smooth its download goes. While you are out of your coverage area, your smartphone craves for data. Borrowing wifi access points is a hit or miss situation, therefore being able to quickly grab such a useful app on the go was just the beginning of a great experience with AMS - highly recommended, down-right top notch. This is truly a beautifully designed app. I can't get over how appeasing to the eye it is, while still have full functionality. You can find hotels, restaurants, shops, activities, cafés, and more all in one beautifully designed placed. I am so happy I found this app! It made my trip to Amsterdam so much more enjoyable and easier to plan. Great app and great deal! Found some great cafes and places to stay on my trip. I first came across coolmapp's when I was in Barcelona. I decided that I would give their Amsterdam one a shot as well since their Barcelona was so great. The Amsterdam one was just as great. Sleek layout, easy to navigate, perfect recommendations for restaurants and hotels. I'm hoping they come out with more cities! This is a great travel app! The design is stunning and very well planned out while remaining easy to use. If you're looking for anything from food to lodging to activities this is a great app for visiting Amsterdam! This app is amazing, I can find everything I need all in one place. Not only do I get suggestions of popular places, I can also view their hours and price ranges. 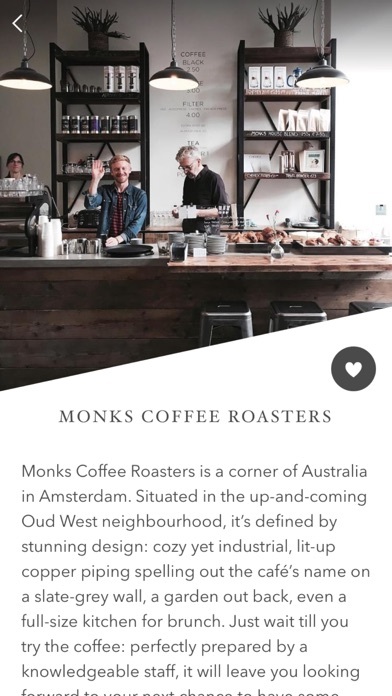 For example, if I'm scrolling through Amsterdam cafes, I can see pictures of the location as well as when they open and their price range! 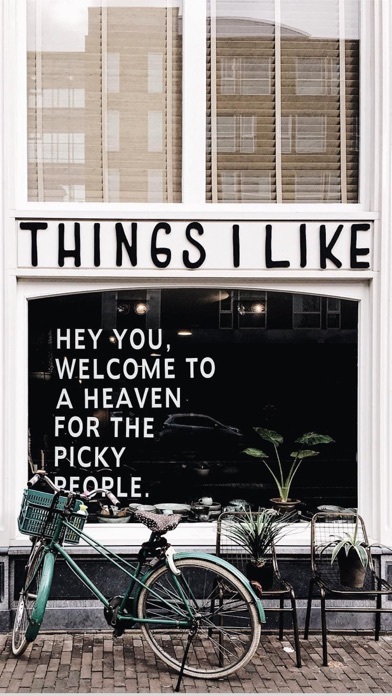 I also love the fact that they include notorious Amsterdam shops, restaurants and the like -- not just any place off of the street, because that is what I am looking for whilst traveling, which is popular/well known places. This guide is also beautifully curated; I feel like this app was tailored to me! I am a tourist who was seraching for nice Amsterdam's restaurants and place to enjoy Amsterdam's nightlife. The app was very helpful to locate my location and find the nice places for me. I really enjoyed foods and nighlifes at Amsterdam.